Visiting Athens is the perfect excuse to take a short drive to Ioannina, the capital of Epirus. Until recently, this destination would never have qualified for a weekend trip, as it took far to long to get there. However, thanks to new highways connecting Ioannina to Athens, it’s a 3-4 hour drive, and is the perfect place for a romantic weekend getaway! 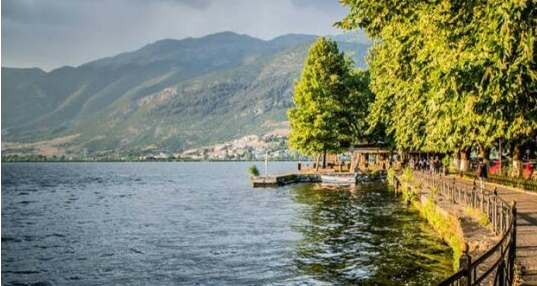 There are so many magical places to visit in the Ioannina region, and since it is built on the shores of the stunning Pamvotida Lake, it’s an extremely romantic city. Ioannina was ruled for the last 34 years before Greece’s independence (1740-1822) by the Ottoman ruler Ali Pasha, and there is a great deal of evidence of his presence throughout the modern-day city. You absolutely must tour Ioannina Castle, which is built on rocks which jut out into the lake. The southeastern citadel is a fantastic sight. Better known by its Ottoman name “Its Kale”, the citadel was completely rebuilt under Ali Pasha, and it essentially forms a separate fortress within the old town.